My Boyfriend knows how much I've wanted these shoes! He bought them for me as a Christmas present but we had problems with the seller so we couldn't get them in the end. I love the colour of these trainers more than anything and think they'd look great with jeans rolled up and a cute top! I LOVE these notebooks! I honestly think they're so cute. I would love one of the A5 notebooks in black with my blog name "JustKatiee" engraved in Gold writing :) I think they're so cute and would be a great edition on my desk! I didn't really like these jackets when they first came back in fashion and everyone was wearing them, however since purchasing one for my boyfriend I've decided I really like them! I'd love this Jacket in Black as I think that colour would go with more of my outfits. For £10 I think it's a bargain! I really like the contrast of the suede and faux leather details on this bag. I think it'd be a good sized bag for everyday use and I think the price isn't too bad either. It's definitely firmly in place on my wishlist! This Handbag is fairly similar but slightly more structured than the one above. I love the gold hardware too. I like the handbag in black but if the burgundy colour came back in stock again I'd 100% LOVE that colour!! 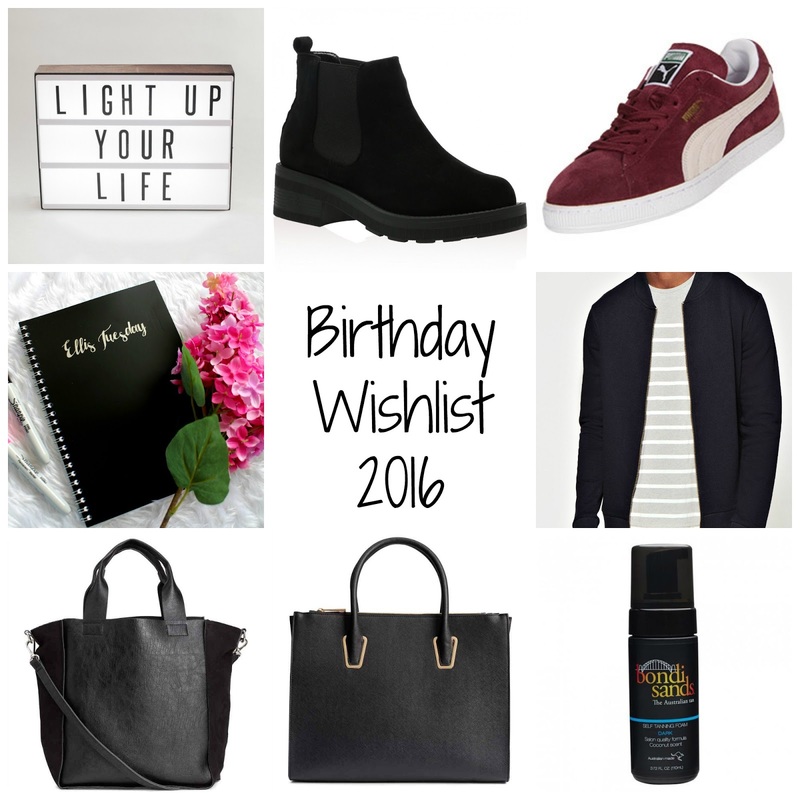 So, there you have it :) my birthday wishlist 2016. I hope you enjoyed this post. Let me know if you have any suggestions of things I could buy if I have any birthday money!